Dr. Maqsood Chaudhry has been a practicing dentist in Virginia for over 20 years. After graduating from West Virginia University School of Dentistry, he began a private practice in Northern Virginia. 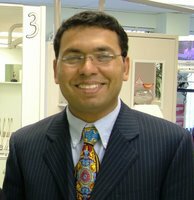 In the year 2000, Dr. Chaudhry attended a Dental Implant Seminar, sponsored by the American Academy of Implant Dentistry, at Howard University and completed a one year comprehensive training in oral implantology. He also completed courses with The United States Institute of Implant Dentistry and has since been a certified member of The International Congress of Oral Implantologists and the American College of Oral Implantology since 2001. In 2010 he completed a Patterson Dental comprehensive training course in CEREC CAD-CAM, a revolutionary technology that can fabricate crowns and restorations with computer guided precision. 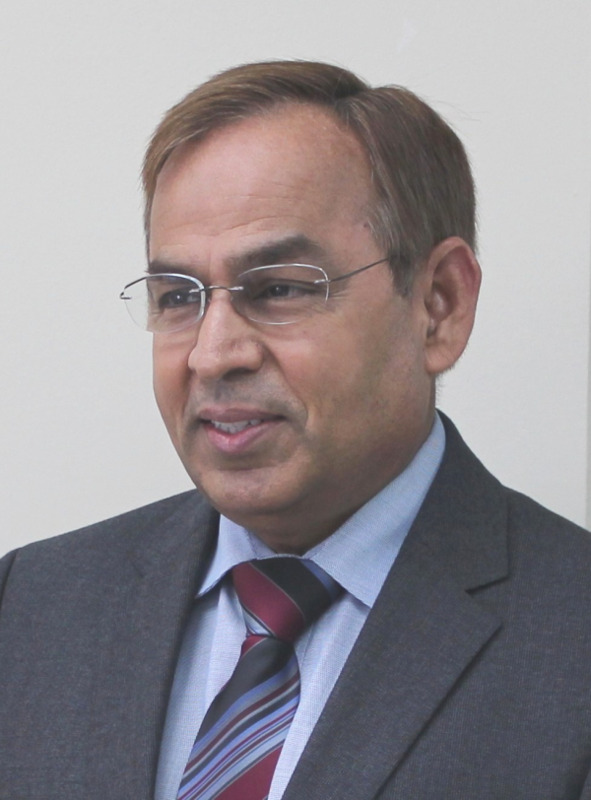 Prior to this Dr. Chaudhry studied orthodontics and was recognized by The United States Dental Institute for completion of all Orthodontic Seminars and Lectures in 1994. Additionally he is a certified provider of Invisalign and Clear Correct: a clear aligner therapy. Dr. Chaudhry is a recipient of the Invisalign Innovator Award, awarded by Align Technologies in 2003 and recognized as a Premier Provider by Invisalign in 2007, 2008 and 2009. He has been a member of the American Association for Functional Orthodontics and the Appliance Therapy Practitioners Association. From his humble beginnings Dr. Chaudhry has expanded his services by opening several offices in the DMV area, with most open Monday through Saturday. He is a community activist supporting many local and national charities along with serving on the board of a non-profit free health clinic in Virginia. As a general dentist he and his team have thousands of patients of all ages. With a team of general dentists and specialists who utilize the latest technology to provide a high quality dental experience, clients can expect convenience. The entire atmosphere with Dr. Chaudhry's offices is nooked in patient education, treatment transparency and affordability. Dr. Chimata received her Doctor of Dental Medicine degree (DMD) from Tufts University School of Dental Medicine. After which, she worked as an associate dentist in Maryland and Virginia. Dr. Chimata has been practicing dentistry for more than 10 years. Dr. Chimata is continuously taking courses to stay current with the latest advances in dentistry and she is also an Invisalign certified provider. Dr. Chimata strongly believe in placing the patient first and taking pride in providing quality dental care. While not practicing, Dr. Chimata enjoys spending time with family and staying active. Dr. Ahmad H Hawasli is a Board Certified Periodontist- a Diplomate of the American Board of Periodontology. He obtained his Master and Certificate degree in Periodontology from University of Maryland, Maryland. Dr. Ahmad H Hawasli was a speaker at the Northeast post graduate Implant Symposium in 2014-New York, where he presented one of his implant cases. Dr. Hawasli was born in Germany and grew up in Damascus-Syria. He finished his Dental school in 2004 and became a specialist in Oral-Maxillo-Facial surgery in 2010. He practiced as an oral surgeon in Syria for 2 years before he came to the United States. Dr. Hawasli is an affiliate member of American Academy of Periodontology-AAP, American Dental Association- ADA, and Virginia Dental Association. Dr. Hawasli dedicate himself to provide high quality treatment to his patients. In addition, he constantly strive to be at the top of his field by continuing education and attending educational meetings. His main interest is in dental implant and bone grafting. Dr. Hawasli enjoys playing soccer and traveling. He lives with his wife and two kids in Fairfax, Virginia. He is a Licensed Registered Dental Hygienist who graduated from Northern Virginia Community College and has been working in the dental industry since 2002. He prides himself on staying on the cutting edge of dentistry and patient communication. He is excited about what he is doing and has high standards of quality and integrity. He is motivated to achieve the best results for his patients. You will find out he is friendly and up-beat and he will do his best to make your visit comfortable, and even fun. Most of his patients come back with one statement “their teeth don’t bleed and they did not feel any discomfort after the deep cleaning”. In his free time, he loves to spend time with his family, watch comedy shows, and listen to music.